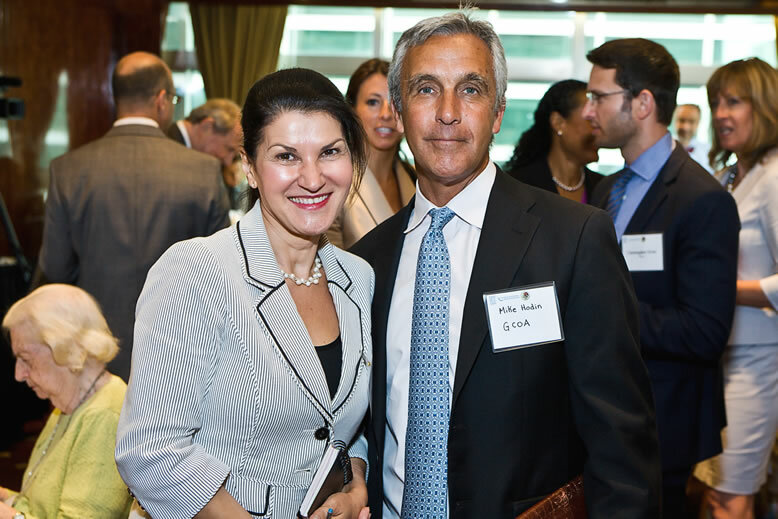 “It is in the private sector’s interest to invest in the health of older people” said Ambassador Luis-Alfonso de Alba at a panel luncheon in July hosted by the Business Council for the UN and the Permanent Mission of Mexico to the UN. “We should not ask the private sector to finance a program, or to allocate a number of resources or slots or spaces, for persons of a certain age due to a moral sentiment. To invest in older people is in the private sector’s best interest” the Mexican ambassador continued. It is also in the best interests of the public sector. In view of Mexico’s rapidly aging older population, which already exceeds 10 million, some cities like Mexico City have already issued a Law for the Rights of Older Adults, a measure that likely will be echoed by other entities. The panel discussion centered on how local communities, national governments, international organizations and other stakeholders can manage the health challenges of the upcoming demographic shift in which people aged 65+ will outnumber children under age 5 for the first time. The discussion focused in particular on the importance of nutrition and the gaps which can negatively influence the aging process. 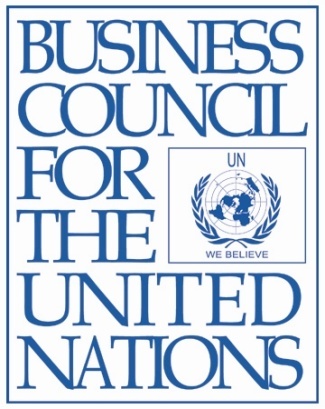 BCUN, a program of the UN Foundation, welcomed an overflow crowd from UN Member States, NGOs, and the private sector to hear speakers from WHO, UN Department of Economic and Social Affairs, Pfizer, and the International Federation on Aging. Good nutrition throughout life is vital to a healthy later life, but good nutrition in the first five years of life is critical, said Jacob Kumaresan, Executive Director of the WHO Office at the UN. “Under-nutrition during gestation and in early life carries with it an increased risk of non-communicable diseases later in life”, he said, raising the subject which was the focus of the General Assembly’s high-level summit last September. He noted China will have 330 million people age 65+ by 2050, and India will have 265 million; if the health sector has to deal with all these people’s chronic ailments it will be a huge burden. Kumaresan added that governments should be encouraging societal changes to accommodate older people, including designing cities that can accommodate and enable people of every age group (a reference to the Network of Age-Friendly Cities, a WHO program.). Along with governmental adaptation, social change is necessary, according to Rosemary Lane, Senior Social Affairs Officer, Focal Point on Aging at the UN Department of Economic and Social Affairs. She pointed out the links between rights, healthcare accessibility, and social inclusiveness of older people. “When citizens are socially and economically excluded, individuals as well as whole societies suffer, and it has been proven that poor health in old age is a major risk factor for exclusion.” To address this she said access to healthcare must be a priority for older people, particularly in the developing world where often societies believe that an elderly person’s health is not worth spending time and money on. “Seemingly simple and relatively low cost to treat health conditions are left untreated. If this is addressed, older people could remain productive members of society far longer”. Lane argued that beyond the human rights issues, the wellbeing and good health of a growing older population makes good economic sense. A healthier older population will also not be a burden on families or the state. According to Rowena Pullan, Vice President of Global Research and Development for nutritional supplements at Pfizer, attitudes towards older people are already changing, and she highlighted Pfizer’s efforts in this regard. Pfizer’s provocative “GetOld.com” campaign aims to get people talking about the issues surrounding aging i.e. their concerns, optimism, and thoughts about how to extend a person’s productivity. Corroborating other speakers’ remarks on the importance of nutrition to a healthy, more productive older life, Pullan talked about the impact of vitamin D on bone health and muscle function —both significant health issues for the aging population. “People get vitamin D from the sun, but even in sunny climates — for example Australia and Mexico– there are very high rates of vitamin D deficiency—54% and 66% respectively. Few people realize that sunscreen nullifies the effects of the sun in producing vitamin D”. She cited a New England Journal of Medicine study which demonstrated that an increase of 800 International Units (IUs) of vitamin D reduced the incidence of hip fracture by 30%. She noted that hip fractures often lead to immobility, a big factor in the loss of productivity and self-sufficiency as people age. Barratt moderated the panel and encouraged a spirited discussion from the floor. A private sector participant asked Ambassador de Alba about the slow response of federal governments in reforming their attitudes and laws that deal with older people. De Alba noted the lengthy debate that accompanies federal decisions, and applauded local governments’ speedier reaction time and the fact that decisions made on the local level often influence the decisions made on the federal level. Another participant praised the benefits of this “bottom-up” approach to reform. A participant from the nonprofit sector felt the panel did a good job of underscoring the importance of “connecting the dots between governments, the private sector, NGOs and academia” in tackling the aging issue. The luncheon was co-sponsored by AARP, International Federation on Aging, HelpAge International and the Global Coalition on Aging. A grant from Pfizer made the event possible.